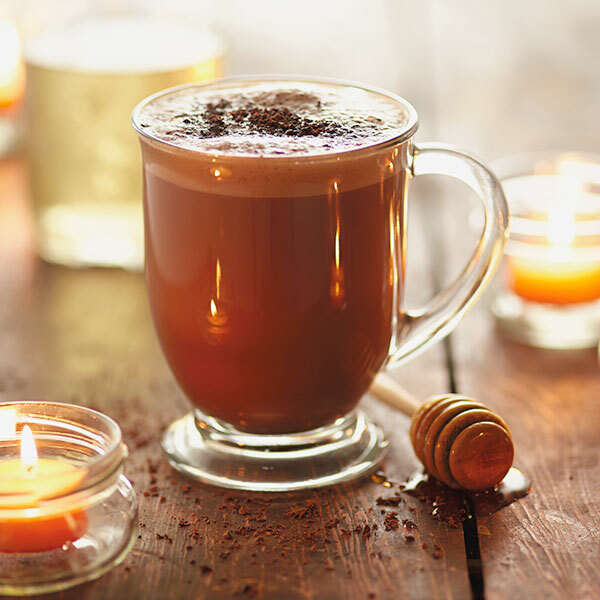 Hallmark makes traditional hot chocolate even sweeter in this Honey Hot Chocolate recipe. Bits of dark chocolate, half-and-half and milk create a rich hot chocolate. A splash of honey liqueur in each cup makes the drink extra warm and cozy for you, your honey and all of your favorite people. Add milk and half and half to a medium-sized saucepan and warm over low heat. Add hot chocolate and top with shaved chocolate if using. Add chocolate pieces and stir until all chocolate is melted and mixture is smooth. Divide Bärenjäger between 4 serving mugs. Add hot chocolate and top with shaved chocolate if using.